We officially have one week left until National Signing Day and there are still many questions left unanswered with the Huskers’ 2018 recruiting class. 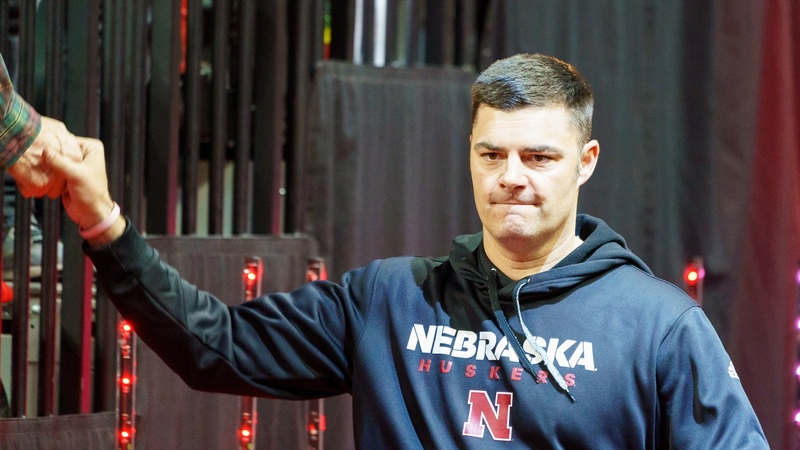 As we get closer to the big day, the class continues to not feel like a “transition” class as Scott Frost and company look to fill it with quality prospects. There has been a lot going on over the last few days, so let’s do another mid-week recap with some scoop. >>A few Husker targets have set announcement dates. 3-star cornberback target Taiyon Palmer‍, 3-star running back Maurice Washington‍ and 3-star athlete Cam Taylor‍ have all announced they will be making their decisions public on national signing day. 3-star athlete/quarterback Matthew Tago‍ will make his announcement Saturday, Feb. 3 at 7 pm central time. Of these four, I feel least confident about Nebraska’s chances with Palmer but don’t discount this staff’s closing ability. >>Perhaps the number one target on Nebraska’s board, 4-star outside linebacker Javontae Jean-Baptiste‍ could be make his announcement any time. There has been some new interest from Texas A&M. I am told that Jimbo Fisher will be in New Jersey tonight visiting a prospect, but it will not be Jean-Baptiste. That would mean an official visit to A&M is highly unlikely at this point. This news helps clear the path for Nebraska, but the Huskers still have to keep battling Virginia Tech who is not going away. >>Right now Nebraska is scheduled to get the final official visit with rising 3-star defensive tackle Tito Ogbonnia‍ from Texas. He has visited Tennessee and UCLA but getting the final visit is crucial here. Can the Huskers do enough to make up ground here and land him? That will be an uphill battle, but stranger things have happened. There is a need at Nebraska for a defensive tackle with the status of Masry Mapieu in question. Ogbonnia also wants to compete in track in college so expect him to get a lot of time with Carlos and Khalil Davis this weekend. >>The biggest question outside of who will be the final members of the class is probably who will end up visiting this weekend? The list of visitors for the final weekend was quite large and has been paired down. As of right now, 3-star defensive tackle Otito Ogbonnia, offensive tackle Willie Canty‍, 3-star wide receiver Andre Hunt‍ and Washington are locked in. Cornerbacks Kendrick Torian and Ken Montgomery have been rumored to be looking at visits, but are unconfirmed at this time. Could there be any surprises that pop up? The staff has done a nice job of getting players on campus that were a bit off the radar heading into the weekend, but with limited (seven) official visits left it may not be possible. >>Today starts the two-day mid-week visit to Nebraska for Kansas offensive tackle Jalan Robinson‍. Ryan Held stopped by his school on Monday and Robinson wanted to get the visit in before his trip to Mississippi State this weekend. Nebraska clearly does not want to miss out on a tackle this cycle and are turning over every recruiting stone to find one. >>Yesterday, Hail Varsity reported that 3-star athlete Joseph Norwood‍ has entered the picture for Nebraska’s 2018 recruiting class. Norwood (6-2,160) plays both wide receiver and defensive back for Brainerd High School in Chattanooga, Tennessee. The Huskers are looking for him to play defensive back, and he told me that he got a phone call from defensive coordinator Erik Chinander on Monday. He has a final five of Nebraska, Tennessee, Tulane, UMASS and Middle Tennessee State. He is a really intriguing athlete that could get to Lincoln for an official visit this weekend. He will know more on Thursday when Chinander visits him in person.